Ah glorious Thanksgiving. A day of food, family, football and tofu? Yeah, you guessed it. We're vegetarians, and let me tell you, nothing makes a person more uncomfortable than a vegetarian on Thanksgiving. Some assume we don't celebrate the holiday at all, as if we're some strange hippie cult that hide out in our VW vans, eating tofu straight off the block, or we're holding signs of slaughtered turkeys and protesting in front of Foster Farms or something. Well, never fear, I'm here to break those stereotypes and set the record straight. Our holiday experiences are much like yours, they just happen to be meat free. Our turkey replacements...not too scary, right? Every other year we host Thanksgiving dinner for my husband's sister's family, but this year it was just us so that meant I could relax and breathe a little easier as I didn't have to worry about getting dinner out by a certain time, blowing up air mattresses or cleaning toilets for company. Instead I woke up, drank my coffee (thank you Starbucks for being open), watched the Macy's Thanksgiving Day Parade with the kids and then got the distinct pleasure of listening to my husband scream at the television while his favorite football team lost. Thank you Redskins for ruining my holiday experience, you bastards! Of course I had to make an impromptu trip to the store because I was unaware that my kids ate all of the eggs last week and my twelve year old started pitching a fit over Thanksgiving being ruined if we didn't have deviled eggs, which is totally ironic since she scoops the tops off of them anyways and only eats the egg whites. Nothing says Happy Thanksgiving like standing in an express line with nine hundred thousand other people who also forgot something. The best part of my Thanksgiving was cooking the entire meal by myself. Yes, I could've made my kids help, and I probably should have, but that would've included blood, sweat and tears and the kids wouldn't of been very well behaved either. I wasn't exactly up for my kids arguing over who got to dump the milk into the mashed potatoes. Instead I kicked everyone out of my kitchen and got to work, threatening anyone who dared to cross into my threshold. The only one who got a free pass was our eight month old, Seanie Mac, because every so often he'd wander in on his baby walker and run over my foot, but he's a baby so I didn't mind so much. The other kids, along with my husband got the "If you come into my kitchen one more time, I'm sneezing on the pies." By the time I got everything out onto the table, dished up the kids' plates and sat down, I realized that I wasn't hungry at all because I had already eaten an entire meal while cooking. Of course that didn't stop me from stuffing my face like the little piggy that could and then waddling back to my bedroom while I held my muffin top and moaned in agony. I had just enough time to pop some Tums before the kids started coming into my bedroom one by one while they whined, "Mooooom, when are we going to eat the pies?" this is exactly why we don't do professional pics!! Despite having a good day with my loving family, I have to say my favorite part of Thanksgiving would be breaking out the wine after the kids finally passed out from their imitation turkey comas. After all, wine is made from grapes and grapes are fruit, therefore wine is totally vegetarian you know. On a serious note, I did want to thank everyone again for all of the love and support you've given our family. 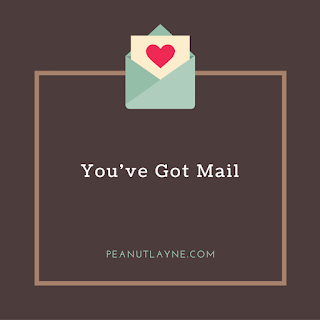 We are still sorting through mail (I think we're almost done), and we will be putting a video/slideshow together as a way to show our appreciation. The outpouring of support still humbles me and brings me to tears. I'm not just saying that either. I literally tear up every single time I help Mahlon open and read his birthday cards. Thank you again from the bottom of our hearts! I seriously wish we could send an individual thank you to each and every one of you, but we had absolutely no idea we were going to receive the amount of mail and packages we did. We literally received tens of thousands of cards and letters from all over the world! Mahlon will be keeping some of the gifts, but the rest will be going to a local charity (we will be including this in our video footage), as there is no possible way we can keep it all. Plus, part of what makes Mahlon so special is his kind and generous heart and he really wants to spread the love so I hope that those who sent gifts will feel comfort in knowing their generous gifts are going to make a child happy this Christmas (ack, and I'm crying again). He is opening every single letter, card, and package, so even those items he isn't keeping, he has been so excited to get to open up the boxes and envelopes to see what's inside, so we deeply appreciate every single thing that has been received. We're back from our whirlwind of a trip and WOW! What an amazing adventure! First off I cannot even describe how generous and kind it was of Jeff Kinney, author of the "Diary of a Wimpy Kid" series to offer to fly our gigantic brood to Seattle to meet him in person. I'm convinced he's the nicest person on the entire planet or on a personal mission from Jesus himself, because we're not the smallest or easiest crew to travel with. On Sunday, we were picked up at our house by a driver, which felt very surreal as I've never been picked up by a driver before. As a mom to many, I tend to do way too much for others (it's a bad habit) so he had to stop me from trying to load up the trunk with our luggage (yes, I really did this) and then he also had to stop me from trying to fold down the backseat to let the kids pile in. He kept saying, "Ma'am, let me do it. I got it" but sometimes it's easier to just let me do my thing than try to stop me. We had a personal driver the entire trip (but different drivers) and I attempted to load the trunk and fold down the seat with every single one of them, and they all said, "Ma'am, PLEASE, let me do it" so as you can see, I follow directions really well. The flight went off without a hitch, except for baby Seanie (who is almost eight months old) wouldn't stop licking the window of the airplane. This would not be significant news to report except that he came down with a hellacious cold that very same evening, so I'm assuming that licking the airplane was not a very wise choice on his part. It was also quite disgusting to witness and I'm super glad my germaphobe of a husband was seated a few rows back and couldn't see this happening or he would've tried to bleach Seanie's tongue (not literally, at least I don't think so). We were dropped off at the shopping plaza where the book signing was taking place, but we had a few hours to kill before the actual book signing. This is where my husband and I gritted our teeth as we knew we had to keep two crazy boys, a sassy, eye rolling tweenager who knows everything, and a teething baby who missed his nap, under control in a crowded place without being able to toss out idle threats or scream until our throats became raw because we were in public. We also didn't have a chance to drop our luggage off at the hotel so we got lots of weird stares as we sat at a table in the cafe of the book store with four kids, a giant suitcase, a car seat and a mound of backpacks and carry on bags for each. We probably looked like we were "Homeless in Seattle" but oh well. About an hour after we arrived, a black van pulled up and Jeff Kinney walked in and was about to walk right by our table. He probably wouldn't of noticed us except the boys spotted him right away and were yelling out "Hey, Jeff Kinney, it's me" so the ice was broken as we got the awkward introductions out of the way a bit earlier. My husband was in the bathroom changing his shirt (because we're fancy like that), so he missed out on that part. We had an amazing time at dinner and I don't think Jeff got that many words in because Peanut is much like his mother and doesn't stop talking. Jeff drew Mahlon's comic book character, Jack, from his series "The Life of Jack" and Mahlon was drawing Greg from DOAWK. Peanut was drawing something too but I honestly couldn't tell you what it was because, well, let's just hope he chooses something other than an illustrator as his career path (he gets his lack of artistic flare from me as I literally cannot draw a stick figure. I'm dead serious. I really can't). Mahlon's character Jack meets Greg!! After dinner it was book signing time. We were fortunate enough to have reserved seats in the front row which was really cool. No one has ever reserved seats for us before and typically when we get seated somewhere, it's far in the back by the dishwashers where the sound of clanging dishes drown out my herd of noisy children. We were especially blown away when Jeff called Mahlon up on stage!! He got to draw his own character, Jack in front of a large audience. I was expecting him to freak out and get nervous, but he didn't at all and seemed very comfortable on stage. I'm so glad I was able to record it on my phone because it was such a special moment. 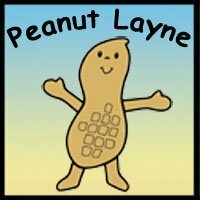 I don't know how to upload it onto here so I put it on my Life On Peanut Layne's Facebook page if you'd like to see it. I will be sharing more details about the "Life of Jack" soon. Mahlon is working hard on his own comic book series and hopes to have it published in the near future. The whole fam with the one and only Jeff Kinney! The following morning Seanie was awake bright and early so I decided to take the kids to the hotel restaurant for breakfast alone as my husband was still in a travel induced coma. Of course I had to be the only one in the entire restaurant with kids and come to find out that breakfast was served on actual glass plates versus the type of hotels we're used to staying in where you can grab some muffins and bagels off of the trays and head back to your room. I leaned down and told the kids "This is a very bad idea" as it looked a little fancy and did I mention above that I was all alone with four kids? To top it all off the restaurant was small and trendy and not stroller friendly at all so of course I just had to bring the baby in a stroller (and then promptly take him out when he started screaming). Much to my horror, Mahlon dropped a big blob of jelly on the table and luckily I caught him out of the corner of my eye (we moms of many can see everything) and stopped him right before he tried to lick it off of the table. He claims he wasn't really going to do it, but he totally was. We managed to eat our food without a single dish getting thrown on the floor so all in all, it was a success. After breakfast we finally got the husband out of bed and ventured out to the Space Needle which wasn't far from our hotel. I hadn't been there since I was a kid and our kids had never been to the top. It was a bit stressful keeping track of four kids, especially since the boys were running around in circles at full speed (which I'm sure the other patrons just loved, especially since it's not cheap to visit the Space Needle these days). Sorry, people of Seattle who happened to get stuck on the same time slot as us. They have these selfie stations now on top of the Space Needle, and I have no doubt that several families probably have blurred body parts of Peanut and Mahlon in their selfies. Mahlon checking out a big wall of photos on the Space Needle...super cool! Our turn for the selfie station! No one fell off the needle so I'd say it was a successful trip! After the Space Needle we had just enough time to eat lunch before sprinting back to the hotel to meet up with the driver who took us back to the airport. This time around the airport check in wasn't quite as smooth as we were in Seattle and not our tiny little local airport. According to my husband, I gave one of the TSA agents attitude but they snapped at me first as I asked what I thought was an innocent question about where I was supposed to stand, so they threw away my brand new lipstick. I have no actual proof of this, but it was in my bag when I went through the line and wasn't in my bag when I came out. So bottom line, don't piss off the TSA agents because they don't mess around and something will end up getting thrown away. Mmmhmm. It will probably take me another ten years before I finally replace that tube of lipstick by the way. My usual lipstick routine consists of chewing on my lips until they bleed and then smearing the blood around on my lips. Voila! Instant lipstick. After the check in, we had 2.5 hours before we boarded the plane. That might not sound so bad to you, but add in four kids and a grumpy husband and I think I would've opted for a root canal (at least you get some pain pills when you're done). I was so thankful when we finally stepped onto the plane and A) Discovered that no one was sitting next to me which was awesome since I had a baby on my lap and nobody wants to sit next to someone else's baby B) Seanie fell asleep within minutes of me sitting down on the plane and slept the entire flight. WOOHOO!!! We made it home safely and of course there is no school this week for Thanksgiving break so I wish I could say that it's so wonderful and relaxing to be back home, but it's chaotic and noisy and well, pretty normal. It's Sunday morning and typically on Sunday mornings, I'm sitting on the floor with the baby, covered in spit up while looking fabulous in my stained, stretched out mom-jamas. However, today I don't have much time to sit around because in a few short minutes we are getting picked up by a driver and headed to the airport for the final phase of our Diary of a Wimpy Kid surprise! In case you missed the other surprises, part one of our DOAWK surprise was a one on one Facetime with the super famous author and creator, Jeff Kinney. With his newest book just a couple of days away from being released, we were so honored and appreciative that he took time out of his insanely busy schedule to give us a personalized tour of his studio/office. Part one would've been more than enough for us as it was seriously one of the nicest, coolest things anyone has ever done for our family, but Jeff didn't stop there. He sent Mahlon an advance copy of his book, Double Down, before it was available to the general public. He literally gave M his own copy that was sitting on his desk and had it overnighted to our house. The only stipulation was that M couldn't take it to school or share the contents of the book with anyone until the actual release date. Not only did M uphold his promise, he wouldn't even let my husband and I flip through the contents the book because "I could get Jeff in trouble mom and he could lose his job." So yeah, he guarded that book with his life! As if that wasn't enough, Jeff also mailed a second advanced copy a day later, and this one was autographed for our family (but M still made us wait to read it until after the release date). So here we are at part three and I still can't believe this is all happening. Typically a surprise in the Peanut Layne household includes something important breaking down like the washing machine or automatic door locks in our vehicle going out, or better yet, multiple family members all contracting the stomach virus at the same time, so this was a welcome surprise for once! I don't want to give too much of our surprise away just yet, but it includes an in person meeting with Jeff Kinney!! So excited!! I will be posting some photos on my Instagram and Facebook account while we're on our trip, and then posting a big update on my blog when we return home. 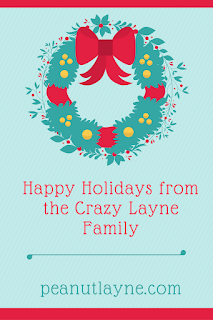 Today our average, ordinary family gets to experience the rock star life for a moment. I bet this is how the Kardashians feel on a daily basis and poor Kim probably wishes she was me, living an ordinary life in Bend with a broken down SUV, Circo brand purse with dried baby puke splattered on the front, and a house full of vomit towels to wash from when we all had the the stomach flu--okay so maybe not. However, unlike Kim, I wont be posting any pictures of my naked hiney because it's not nearly as full and round as hers, and I have no idea how she got it so shiny (not so sure I really want to know). It was Kim who posted her shiny hiney, right? I'm a little fuzzy with my reality TV knowledge. So, now that I'm using phrases like "shiny hiney" I think it's probably best that I quit while I'm ahead and say goodbye for now and I should probably change out of my mom-jamas before the driver shows up and thinks he arrived at the wrong house. Thank you so much to everyone for all of the love and support you've shown Mahlon and our entire family! We truly appreciate it so much!! The best update I could ever ask for! After some recent unflattering stories were written about me, I was feeling a little down. I started to reflect on everything that's happened over the last few weeks and felt very overwhelmed by all of the sudden attention. Part of me wondered if I did the right thing by publishing the RSVP post, not having any idea that it would spread like wildfire across the World Wide Web. I needed a break from the non stop media requests and numerous messages flooding my inbox, and decided to step back and enjoy some much needed downtime with my family. On Saturday my husband and I made our weekly Costco run, and stopped to pick up some pizza on the drive home. While he was inside waiting for the food, I opened up my email, and innocently clicked on one of my emails from a reader titled, "Don't worry about replying". As I read through her message, tears began cascading down my face. I saw your post about the birthday party fiasco shared through Facebook. My child had received an invite from a classmate we didn't know, and I wasn't planning to go to the party. We've been horribly busy, and I've been under the weather for weeks, and it was scheduled shortly before Halloween. Also, I was pretty sure she only got the invite because class rules state that if you bring party invitations to school, everyone in class must receive an invitation. After seeing your post, I decided to make time, buy a gift and take my child to the party. I'm so glad we did. She was the only kid from his entire class that came. In fact, she was the only child besides his siblings. He was so happy when she arrived for the party at the restaurant (you should have seen his face!) and they played together the whole time. If you hadn't shared your post, he would have had the same experience as your son. Suddenly I knew I had absolutely done the right thing by sharing M's story, because this is all we were ever wanting to happen in the first place. My story was not about placing blame on anyone, as I'm far from perfect. It's not about nit picking over the party details, the decorations, the location, etc. It's about raising awareness that birthdays are a very important event for a child, and if we can take just one second out of our busy lives to reach out to the person throwing the party, it could make a big difference in the outcome (as you read above). I thought at first when I wrote M's story, that the main issue was the lack of RSVP'ing, but I received so many heartbreaking stories saying, "We don't even do parties anymore because no one shows up". I may be showing my age by writing this, but when I was a child, birthday parties were a very big deal. Perhaps it's because we didn't have cartoons available to stream 24 hours a day, realistic video games, smart phones (or even cell phones for that manner), tablets, etc. Social media wasn't even a phrase yet. We had Halloween, Christmas, Saturday morning cartoons, and Masterpiece Theatre (admit it, you jumped for joy whenever this came on). Some of the comments I received mentioned that M's party looked really lame and their child wouldn't of wanted to attend either. This makes me really sad to think that we have to throw lavish, celebrity worthy birthday bashes in order for our children to attend. It makes me wonder, "Are birthday parties becoming obsolete?" Are kids so desensitized from all of the above forms of entertainment, that birthday parties aren't such a big deal anymore? And with that, I truly hope that M's story starts a birthday movement. Let's bring back the RSVP and birthday parties, as I really think there are two issues here (lack of RSVPing which is causing parents to not even want to mess with throwing parties anymore). I get asked often how M is doing, and I'm happy to say that he's doing really well. He's so incredibly grateful to everyone who has reached out and offered their love and support. In fact, I have another heartwarming update to share. One of the invited party guest's moms recently reached out to me, and invited M over for a play date at her house yesterday. It was M's first ever play date and he was so excited. I was so thankful to her for being brave enough to reach out to me. We chatted for a long time, and I feel like I made a new friend as well. We are going to have him over to our house soon, and M couldn't stop talking about how much fun he had at his friend's house. We are still working diligently on sorting through incoming mail and I just wanted everyone to know that we are reading every single card and letter that we receive. I wish that we could individually thank each and every one of you. Our family has been forever changed by this and we appreciate all of the love so much! My response to being called the "Worst mom in America"
*This post is in response to this lovely little article written by someone at NYDN who most likely didn't even read my original post. Hi there! We haven't been formally introduced yet. My name is Kristen, and according to you, I'm the "Worst mom in America." Which I have to tell you, as a mother of six, I've heard it many times before. You see, I've raised two teenagers, and teens tend to say these kinds of things a lot, typically while rolling their eyes and slamming their bedroom door in your face because you dared to say no to some entirely inappropriate request like, "Can I stay out until midnight on a school night?" Since you're the professional writer, and I'm just a lowly mommy blogger, I hope you don't mind that I'm offering some assistance in pointing out the many inaccuracies in your article, since you seemed to really struggle to gather the actual facts in my post. 1) The photo of the name tags. You pointed out that I took a picture of the name tags of the party guests who were invited. I didn't. Those were actually "Diary of a Wimpy Kid" character names, so I'm guessing you haven't actually read the series since you failed to recognize any of their names. I bet you feel slightly embarrassed over this little blunder, but it's okay. M said he's more than happy to mail you a copy of one of his DOAWK books so you can familiarize yourself with the characters. He's a very generous little boy. This was a picture of a GAME we found online. 2) The photo of the "uneaten cake" which I'm assuming you think we left sitting alone on the table to collect cake dust? Lots of moms take photos of the cake before it's hacked up into millions of pieces. I paid good money for that custom cake topper, and darn it, I wanted a photo! And OF COURSE we ate the cake!!! Did you miss the part where I said I have a four kids living at home? The kids were waiting to tear into that poor unsuspecting cake the second I set it down on the counter. We demolished that cake as soon as we finished eating pizza, and whatever small amount was leftover got eaten for breakfast the following morning (since I'm the worst mom in America, I might as well defend my title). This photo was taken a couple of hours BEFORE the party. 4) "And then made him stand there, alone, until the garbagemen came." How many times do I have to say it? All of the photos of him posing alone were taken BEFORE the party. The only photo that was taken after the party fiasco was of him at the bowling alley. And I made him stand there alone? Pffffft. I only wish I had that kind of power over my kids!! So this brings me back to your first paragraph when you insinuate (no rather accuse) my husband and I of setting all of this up so we "get clicks". People can click on my blog until the cows come home, but I didn't have a single ad running on my blog when this story went viral (nor do I now for that matter). If I had really set all of this up to "get clicks", wouldn't I have had my blog loaded up with ads so that I was getting paid while my blog was getting millions of hits a day? I do find it slightly ironic that you're hinting I did this all for the money and fame, considering you're the one who gets paid to write and is most likely profiting off of my story, but i'll let that one slide for now. And, you're also claiming I did this for a book deal? Please! I barely have the time to fill out my children's reading logs every night, so it may be awhile before I can get that book written. Maybe in fifteen to twenty years, if raising all of these kids hasn't killed me by then. I tell you what, if I do ever write that book, I'll be sure to send you my first copy free of charge, but media mail of course. I'm a mom on a budget. FYI, I've already been published in a couple of books, one a NYT best seller, I Just Want to Pee Alone *Insert shameless book plug here since I'm honored to be included in two hilariously witty humor anthologies. The notion that we had this master plan to set all of this up to exploit our son for fame is pretty hysterical. If any single one of those photos had been staged, they would've looked a heck of a lot more professional than they did. My husband works in the film industry and he's a pretty talented guy. He does commercial work for major companies, and can do it all from photography to videography, editing, directing, etc. He was actually mortified that I dared to put my dark, unedited, crappy cell phone pics on my blog because he can't help but look at a photo and critique it. It's his job and he's brilliant at it. So trust me, if the photos had been staged, they would've come from him and they would've been much more professional looking. Here's what my little post did for M, since you're so concerned for his well being, enough that you even poked fun at him and the entire "Diary of a Wimpy Kid" fan base by saying M is the wimpy kid on the cake (which isn't even an insult for DOAWK fans by the way). The most amazing thing that has come out of this story, is that our little boy has found his voice. He went from a shy, not so sure of himself third grader, to this incredibly confident child who beams with pride. He was interviewed by the local news last night, and I've never been so proud of my son as I was last night. He was humble and appreciative and wanted to make sure and "Give a shout out to all of America". The world could use a lot more Mahlon's and a lot less of people like yourself. Throughout all of this, he learned that despite sadness and disappointment, there is also a lot of good in this world, and that kindness and compassion do exist. He's connecting with so many other children from all over the world who relate to him and they are even becoming pen pals. He's researching different charity options, so that he can pay it forward to other children in need. Many of the gifts we received will be headed to charity. I think people are so fascinated by our story and drawn to our son because he's a good kid who represents hope and resilience. His sweet innocent face also serves as an important reminder that people should be more aware of how they respond to an invitation. M isn't curled up into a ball, crying and feeling sorry for himself, and my post definitely didn't devastate or humiliate him as some people like yourself are saying. You want to know what really humiliates my children? Their mom standing at the bus stop with dried spit up on her stretch pants. Yes, that really happened, two days in a row actually. Oh no she didn't! Oooops, she did! And yes, of course I was devastated for my son when no one showed up and he was crying and upset. Excuse me for saying this, but what a stupid thing to say! We were all upset for M, even his older sister who isn't very sympathetic. You really honestly believe that only M was devastated over no one showing up to his party? I have to question your loyalty as a parent because any parent I know, would've been devastated to see their child in tears. I wrote my post for my blog readers because that's what I do. I'm a blogger. A terrible, untalented, stretch marked, evil mommy blogger, but nonetheless a blogger who writes when something strikes me as funny, sad, emotional, scary, etc. What poured out of my heart and soul when I wrote my piece was pure, raw emotion from deep inside that place that only a mother knows. A mother who was deeply hurting for her precious son because she simply wanted him to enjoy a special day with his friends, and he didn't get to do that. I wasn't expecting anyone to read it, and I certainly wasn't expecting anyone to reach out like they did. We are completely blown away by the outpouring of love and support that our family has received and it has changed our lives forever. Not because we're searching for fame (because we're most definitely not) but it's changed our entire perspective, and given us a new lease on life. Our lives have been changed for the better because we now have hope and faith in humanity, and you can't put a price tag on either of those things my friend. AKA "The Worst Mom in America"